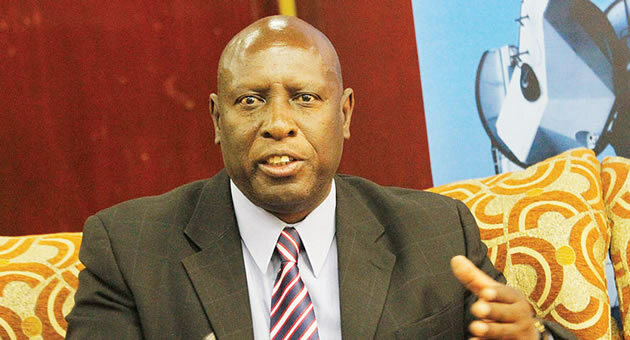 FORMER Energy minister Samuel Undenge yesterday mocked the State for taking long to furnish him with a trial date in a matter where he stands accused of abuse of office. Undenge complained that the State has had taken over four months to investigate a letter which he confirmed to be his. The ex-minister raised the issue when he appeared before Harare magistrate Tilda Mazhande facing criminal abuse of office after he allegedly fraudulently awarded a public relations contract to Fruitful Communications without going to tender, prejudicing the State of $12 650. Fruitful Communications is owned by Zanu PF legislator Psychology Maziwisa and television personality, Oscar Pambuka. While applying for refusal of remand Undenge who is represented by Alec Muchadehama and Dumisani Mtombeni, told court that it was surprising the State was taking long to provide him with a trial date citing incomplete investigations. "I am surprised that the State is taking more than six weeks to investigate a letter which the accused confirmed to have written to Zimbabwe Electricity Transmission and Distribution Company (ZTDC). The State does not want any witness as he is admitting," Muchadehama said. "The accused rights were violated when he was arrested and his detention and you still want to continue violating his rights by continuously remanding him without giving him a trial date. Your worship the State will always use the way of summons if their house is in order." However, the State represented by Michael Reza opposed the application saying Undenge must not rush as the docket was still to be completed. Reza said the delay in providing Undenge with a trial date was caused by a technical fault. "Your worship, the delay was caused after the police summoned Undenge as a witness to help them in the Fruitful Communications fraud case. They realised that the witness was exonerating the culprits, Pambuka and Maziwisa hence they decided to have him as an accomplice," Reza said. The prosecutor further said a period of three months is not long for Undenge to challenge his remand, asking him for patience since his lawyer raised triable issues during his application challenging placement on remand. Magistrate Mazhande dismissed Undenge's application saying the State should be given time to compile its evidence and complete the docket. She remanded the matter to April 3. Meanwhile, former Tourism minister Walter Mzembi who is accused of fraud after donating television sets to various churches appeared before magistrate Mazhande yesterday. Mzembi, who is represented by Job Sikhala, gave State notice to apply for refusal of remand on the next remand date on March 9.